Might the Irish/Irish border be the issue that derails #Brexit? During the course of a debate on “Brexit and the Bar” held at the annual Bar conference in London earlier this week, senior British and Irish legal figures raised questions over the compatibility of Brexit with the 1998 Good Friday Agreement (also called the Belfast Agreement), warning that the landmark peace agreement may even have to be renegotiated if Britain leaves the customs union as a result of Brexit. Liam McCollum, QC, chairman of the Bar of Northern Ireland, echoed this analysis saying that Brexit. “[It] is as an insoluble an issue as you could possibly imagine,” and would “undermine the Good Friday agreement”. Here is another of my weekly Broadsheet columns. I am slowly catching up on reposting these columns here, I hope to have my site up to date over the coming week. Though you may not have noticed it – there was, over the last few weeks, an attempt to start a public debate on Irish Defence policy. While the Irish Examiner, in particular, did its level best to get it going, the discussion soon fizzled out. The reason why the debate never really got going may be due to the fact that we tend to only discuss defence policy in public in response to some significant event or, more frequently, to some outlandish and unfounded claim. On the rare occasions that we have any debate on defence in Ireland, they tend to be either end of the extreme ranging from claims that we are abandoning neutrality, a claim made continuously since the 1970s, to questions as to why we even have a Defence Force. Though there is a real and clear public pride in our Defence Forces, both at home and abroad, there is also a surprising paucity of knowledge about Defence policy. With this in mind, I want to use this week’s Broadsheet.ie offering to put some basic facts about Irish Defence policy out there, in the vain hope that the next public debate on Defence may be based on fact and reality, not myth and assertion. The Irish Defence Forces comprise the Army, Air Corps and Naval Service and should total 9,500 men and women. The current manpower figure as set out in a parliamentary reply to Fianna Fáil’s Lisa Chambers, is just under 9100. There are approximately 460 Irish troops currently serving overseas on a range of UN led and mandated peace-keeping and humanitarian missions. These include: 60 naval service personnel on the humanitarian search and rescue operations in the Mediterranean; about 210 troops on the UNIFIL mission in Lebanon and approx 140 troops serving in the UNDOF mission on the Golan Heights in Syria. Though these numbers are way down from the average of 800 plus personnel serving overseas less than a decade ago, it still represents a sizeable Irish contribution to international peace and security, which in turn contributes to our own national security. We spend about €900 million per year on Defence, though the vast bulk (over 70%) is accounted for by wages and pensions. When it comes to value for money the Defence Forces lead the way. The reform and modernisation programme undertaken between 2001 and 2010 make it a model of how public sector reform can be done right. Productivity was increased, numbers were reduced and the savings were invested in vastly improved equipment and training. Now let’s turn to the policy side. First and foremost, Ireland is militarily neutral. While this is usually defined as not being a member of a military alliance, it also means that we decide for ourselves how much we spend on defence and – most importantly – how, where and when we deploy our troops overseas on humanitarian and peace-keeping/peace enforcement operations. 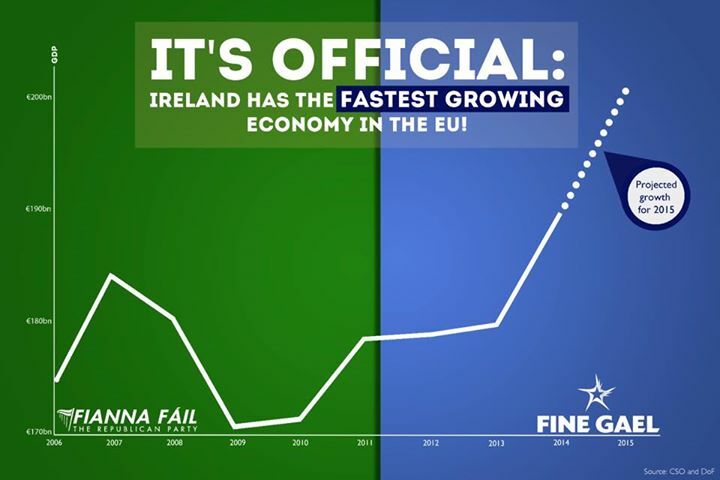 This is done via the “Triple-Lock” mechanism of UN mandate, Cabinet and Dáil approval. Triggering this triple lock is required before 12 or more Defence Force personnel are deployed overseas under arms. This enshrines not only our military neutrality but our commitment to multilateralism and the UN. We use the phrase UN mandated, which means that a UN resolution is required. Nowadays many UN mandated missions are not UN led, i.e. “blue helmet”, but rather led by regional organisations – such as the EU, The African Union, NATO etc – on behalf of the UN. This was the case in the 2008 EUFor Chad mission, which was commanded by an Irishman, Gen. Pat Nash. I was in the Dept. of Defence during the Chad/Central African Republic mission, which was established to deal with the crisis created in the region on foot of the Darfur famine. I saw how the Triple Lock was implemented smoothly and speedily. UN resolution 1778 was passed at the end of Sept 2007, Cabinet Approval was given in October, unanimous Dáil approval by the end of November and by December an initial deployment of Army Rangers and support elements were on the ground in Eastern Chad establishing the Irish Camp. Any difficulties in deployment were not due to the Irish or the Triple Lock but rather to the frustrating slowness of other EU countries, particularly the non-neutral ones, to respond especially when it came to offering air and medical support to the mission. Nothing I saw at those defence meetings in Brussels led me to think that an EU Army was a realistic possibility, leaving aside the fact that we have a veto (EU requires unanimity on common defence) on it and that the Irish Constitution (Art 29.4.9) precludes Irish membership of a common defence. Speaking of air support brings me back to the Irish Examiner article mentioned at the outset. From my perspective this appears to be based on the inaccurate, if not sensationalised misreading, of an already inaccurate report. I say inaccurate as the original material suggests that is not Ireland which has asked the RAF to protect our airspace from terrorist threats, but rather that it is the British who have asked for Irish permission to fly into our air space in the event of terrorist air attacks heading for Britain. When viewed this way the story is not quite as sensational, nor is it the slam dunk argument for Ireland rushing out and purchasing a fleet of F-16s. I am not absolutely opposed to our buying a few F-16s – though if we are going to go into the fighter aircraft market why not opt for some newer F-35s? I am sure the Air Corps would be overjoyed to have them, though I suspect the Departments of Finance and Public Expenditure might baulk at the tripling or quadrupling of annual defence expenditure necessary to keep these fighters in the air 24/7, especially when we consider the real and actual threat assessments. So, let us have a full debate on defence (and foreign) policy by all means, but let us ground it in fact and reality.